The fourth week of season four in Fortnite is here, and it brings a whole new set of challenges in the Battle Pass. Admittedly, Battle Pass challenges are usually pretty easy. They can be quickly banged out over the course of a night of games in Solos or with friends, and then it's back to business as usual. This week is not like that at all. Some of these challenges might actually take some time and effort, so strap in and let's figure out how to get 'em done. This week's easiest challenge will get done over time. Just use assault rifles to deal damage to your opponents and you'll get it eventually. 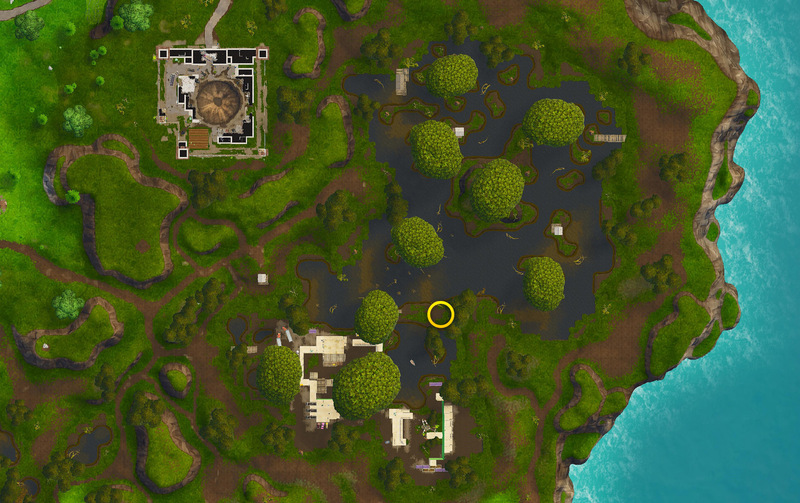 Wailing Woods is notorious for being one of the most loot-starved areas of the map, and its low amount of chest spawns is also a scary thought. This week, more players will be landing there than usual to try and get this challenge done. We suggest waiting a while, maybe next week or the week after, to try and land there in Solos once things have cooled off. This challenge will take a good eye and a degree of luck, as you will need to find seven unlooted ammo boxes in a single match to earn five stars. Check corners of rooms, attics, behind desks, and other hiding places for these. In the center of each storm circle, you will see a purple lightning bolt. You'll need to walk over these lightning bolts three times in a single match. Since it's the center of the circle, there will most likely be enemies around, so it could be difficult to survive long enough to do three of them in a game. Head to a patch of land in Moisty Mire for these stars, shown in this image made by Fortnite Intel. Trap elims can be hard to come by, but there's a number of ways to get them. You can use them in close proximity while fighting an enemy, you can try to lure an enemy into one, or you can place one randomly in a building and move about your business and hope to get lucky. Head to the western shore of the map and get three eliminations. This can be done in one game or over the course of several weeks, it doesn't really matter.